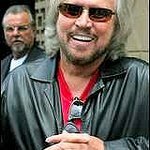 How Deep Is Barry Gibb's Love? The Miami Beach Community Health Center is offering free health screenings all this week thanks to the celebrity board co-chairman of the Miami Beach Health Foundation, Bee Gee Barry Gibb. He of the falsetto voice wants to draw attention to those without access to healthcare or health insurance, and believes this week will go a long way in the fight to help the 2.5 million Floridians that lack health insurance coverage. The free health screenings take place all this week at clinics in Miami Beach, North Miami and Little Haiti, and include blood and cholesterol check-ups, stress management and relaxation techniques, prescription drug reviews, and HIV tests. To see a video of Barry Gibb talking about the Miami Beach Health Foundation, visit their website. The singer also recently attended an event to celebrate the launch of the Young Society of Love and Hope, a new division of the Diabetes Research Institute in Miami. The evening included cocktails, a presentation of the Just Cavalli 2008 Fall Collection, and a talk from Randi Caster, a woman who had dealt with Type 1 diabetes for her entire life and eventually received a islet cell transplant through the work and research at the DRI. And if that does not prove how deep Gibb’s love is, he has also donated a signed guitar to a Miami police raffle to raise money for the American Cancer Society. Tickets can be purchased from Lori Freedline in the Training Unit of the Police Department, phone ext. 5869, and the winner will be drawn this Saturday, May 3.